Julia Haber is revolutionizing the way brands interact with college markets. As a college student ('18), Julia noticed how her isolated campus prevented the brand interactions her community desperately desired. She understood the importance of crafting experiences that produced brand loyalty at a time when consumers are flooded with constant marketing and messaging. 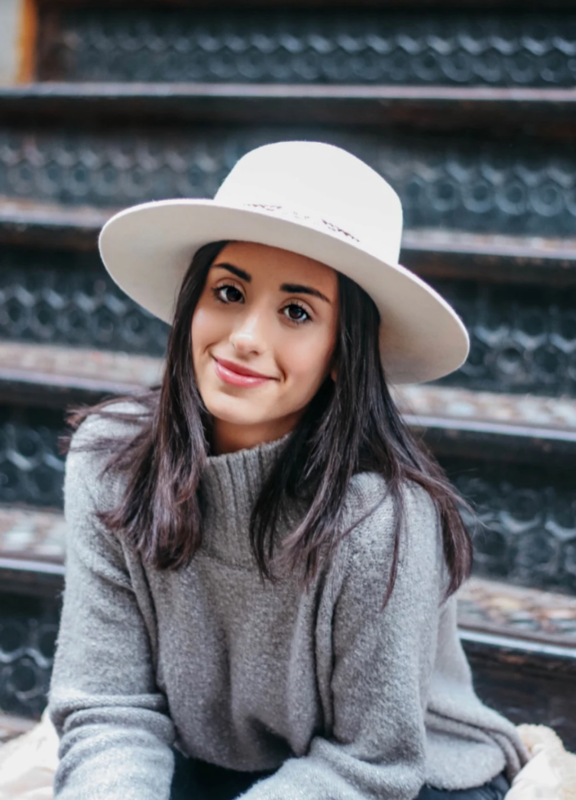 After her successful pop-up brand experience at Syracuse University with Rent the Runway, Julia will continue launching pop-up events throughout college campuses in the North East. In this feature, Julia shares with us her accomplishments in college, how her previous internships and ventures fostered a drive of curiosity and ultimately the idea of WAYV, and her career advice for ambitious women, such as yourself. When you went to college, did you have a clear idea of what you wanted to do for a career? I always knew I wanted to be an entrepreneur and start my own business. While I didn’t know exactly what that entailed, I knew pursuing a passion of my own was my dream. When I was in college, I had internships at Snapchat and Spotify, both millennial brands, and learned a ton from their branding experts. This was really helpful in gaining real creative strategy experience, but I found that there was an overarching component lacking between the way digital brands interacted with their consumers. What sparked the idea for WAYV? Syracuse is a really isolated college campus. To get to any retail store and experiences, you have to hop in the car and drive. Early freshman year, I realized there was a need for brands to better interact with the college market. So, I put together a pop-up shop on campus (out of an empty storage space) and recruited top-name brands to sell their items. We sold products from Lululemon and got our pop-up event sponsored by AT&T. Lululemon made a large profit that completely exceeded their expectations. It was awesome. After this success, I knew there was something there... I dug a little deeper and realized that the brands that students love rarely have the opportunity to come to campus and build relationships with students. College students don’t like to leave campus and are frequently isolated from these opportunities, so when a brand comes to them, the critical element to success is true engagement. How did your studies in advertising help shape the creation and implementation of WAYV? My classes in Advertising and Creative Strategy helped shape the idea of WAYV because it showed me that there is no better way to connect with your audience than in person. Nothing can beat the connection you feel when you’re physically at a location where you can see, hear, and feel the brand and product. I also was incredibly fortunate to have close relationships with my professors. Many of my professors became close mentors that helped guide me in launching WAYV. What encouraged you to pursue WAYV full-time after graduating Syracuse University? I had a mentor that pushed me to consider taking this idea to the next level. I was super hesitant at first as there was a certain rhetoric of success and standard of post-college steps. I know a lot of students stress that they’re interested in being an entrepreneur, but only after they gain “real world” experience. People always say how they will wait until they have the knowledge, background, and experience to launch a business. After I analyzed myself, I realized there was a different way to think about my early career. I now believe that you have the least amount of risk to launch a business in your early 20s. This is the age to follow your passion without stressing about rent, mortgage, or children. What is your current progress with WAYV and what are you most excited for in the future? We recently had a lot of success with launching our Rent the Runway pop-up event at Syracuse. 68% of the student body who came to the pop-up shop had never rented before from the brand. We did a survey after the pop up and found that 96% of students would be interested in renting, after having experienced the brand in person. We tested out multiple scenarios during this pop-up event and really honed in on recruiting influencers and campus leaders to spread the message. This was a really successful approach. The plan is to continue launching pop-up events all throughout college campuses in the North East, and will be venturing down South this Spring as well. My team visits all the campuses to really understand its layout, demographics, what students are looking for, and how campus organizations are structured. Right now, we are also building a Student hub that bridges the gap between college students and brands. We host live stream events where we invite an expert in the field to answer questions asked by the students. There isn’t currently a brand that completely represents and focuses on college students. We aim to be the brand that does this. Listen to podcasts. There are so many that allows successful entrepreneurs to share their story and career advice. I try to listen to at least one episode per day. Some of my favorite include How I Built This, Girlboss, and This is Success. What is your advice to aspiring business-women launching their careers? Don’t be afraid to ask. The fear of not putting yourself out there prevents you from succeeding. This pertains to young women launching their careers and successful entrepreneurs. If you don’t ask and put yourself out there in a forward and meaningful way, you won’t have the opportunity to learn. Utilize your resources and keep asking your network for advice. PS. Julia is doing an insta-takeover on @aspiretoher on Thursday, April 18! Click here to submit Qs in advance.